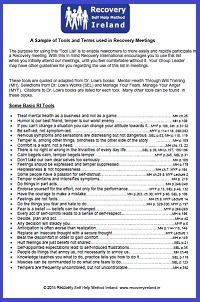 Recovery publishes a number of books to help members become familiar with the principles and practice of the Recovery method of self help. These books are used at meetings. These books and other materials can either be ordered from our Dublin office below, or direct from HQ in Chicago [click here]. Some of the books can also be sourced second-hand from Amazon. Most of the books are now published by Willett Ltd, which is a publishing company formed by the daughters of Dr Low in 1980 (Willett was the maiden name of Dr. Low's wife Mae.). Prior to that, books were published by The Christopher Publishing House. This is the main book used at Recovery meetings. It was written by Dr Low, for his patients. Each chapter begins with a case history / situation of one (or more) of his patients, followed by an analysis of the situation by Dr. Low. It is the core text for learning the Recovery method and principles. This book is the transcribed lectures from Dr Low's talks around the US. The chapters are shorter to read than the other main book and the language used is less ornate. The chapters from this book are also available on audio CD. Please visit [click here]. This book was written in order to provide a more contemporary introduction to the Recovery Method of Self Help. Many beginners find the format and language easier to understand. The workbook has worksheets and practice exercises. 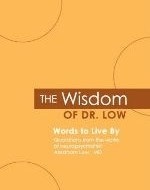 This book is a compendium of short excerpts taken from many of Dr. Low's other books. 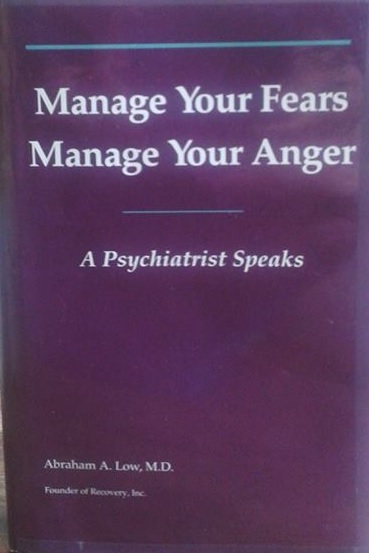 The excerpts are helpfully categorised under headings such as 'fears', 'anger' or other emotional responses. 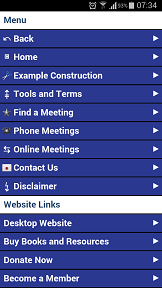 This handy App, is available to download on either your iPhone or Android smartphone. It is an unofficial product and produced by a third party. Recovery takes no responsibility for the functioning or other aspects of this App. This document lists the most popular Tools used by Recovery members, and well as information on how to construct a four part example. This is a DL size brochure that gives an overview of the Recovery method and the organisation. 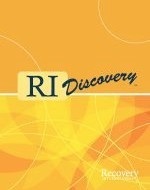 This is a brochure that has personal stories of people who used Recovery to help overcome their mental health problems.. This is a copy of the Recovery Newsletter giving updates and news about the organisation. If you want to promote or advertise a local Recovery meeting, just follow this link, and click on the meeting location and print off the applicable poster. This is a link to a peer reviewed research paper published in the American Journal Psychiatry by Professor Marc Galanter. This is a link to report published by Recovery analysing aspects associate with Recovery meetings, their impact and suggestions for improvement, author Dr. Susan Pickett.